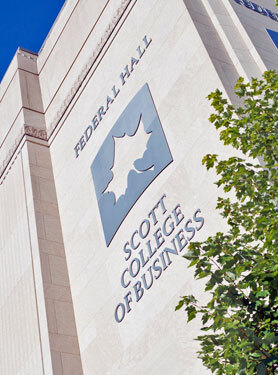 Introducing a wonderful and unique opportunity for the Scott College of Business's Federal Hall that we are very excited about. 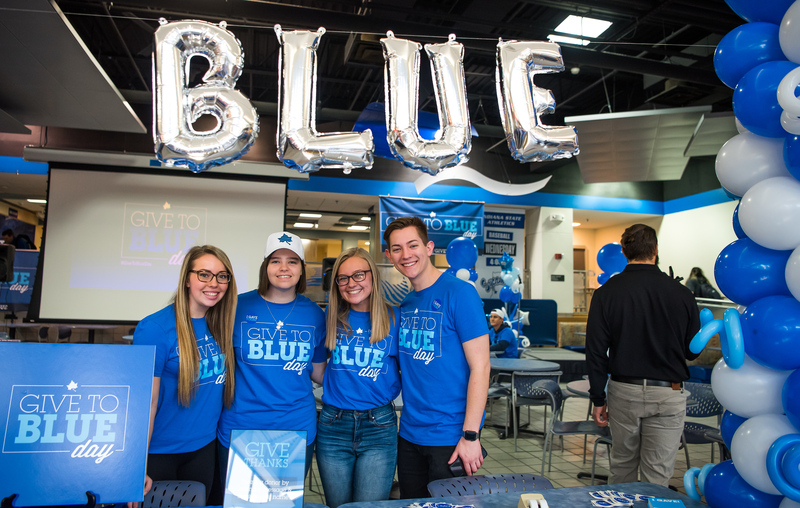 A donation by Sherrill Mills Hockemeyer to the Indiana State University Foundation has helped establish the Business Permanent Art Collection fund. As a result of that we are looking for an original sculpture for the Federal Hall's atrium. If you know anyone who may be interested in this commission then please share this with them. The deadline has now passed for submissions to be submitted but the RFQ is still online if you're interested. This document contains the submission guidelines and deadlines. The south wall is drywalled with concrete backing. The west wall is drywalled and insulated. Each wall has a 200 lb. weight capacity and works must be mounted to existing 3 5/8" studs using at least two connection points. 575 pounds can be suspended from the steel framing over the atrium. The capacity of the basement slab on grade can be as much as 250 psf. You can right click on the links to the two PDF files below and then choose “Save As” from the menu to save these files directly. The advantage of that is that when they open the PDF in Acrobat (either the editor or the reader) the highlighted areas show up in the Comments menu and are clickable.